[Via Satellite 09-23-2014] The Canadian Space Agency (CSA) has awarded MacDonald Dettwiler and Associates (MDA) with three projects to apply satellite data to national interests: tracking ships, geo-hazard monitoring, and logging and deforestation. Under the agreement, MDA is tasked with evaluating the application of radar and optical imagery to accelerate the locating and tracking of ships. The second project involves providing a better means of monitoring geo-hazards in pipeline corridors. MDA will look for geographic changes that could lead to landslides or other phenomenon that could compromise pipelines. 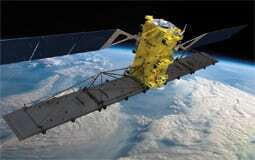 CSA’s final project charges MDA with proving the value of Radarsat 2 for tracking logging and deforestation. Information from this study may be used in the Canadian Forest Service’s disturbance mapping practices.